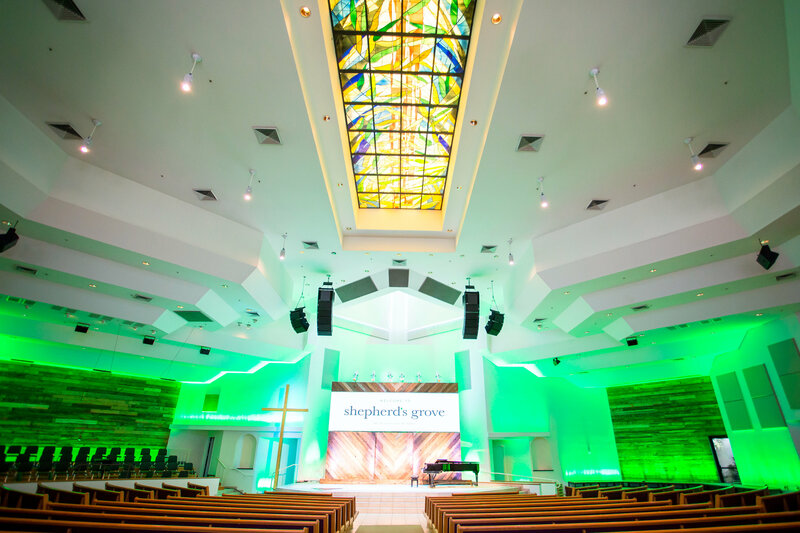 HUNTINGTON BEACH, CA – The Hour of Power broadcast from Shepherd’s Grove church has touched countless lives through its uplifting and inspiring messages. 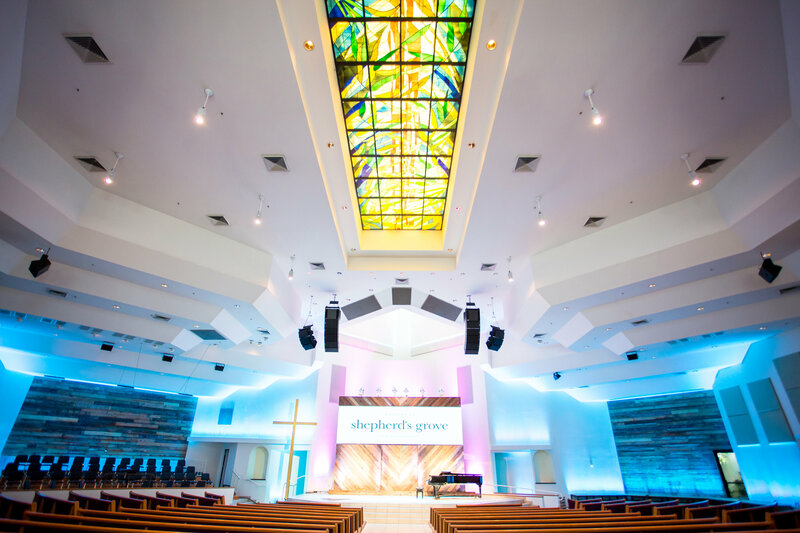 Recently, the church decided to enhance the quality of its world-famous broadcast services even further by switching to an all-LED lighting system. 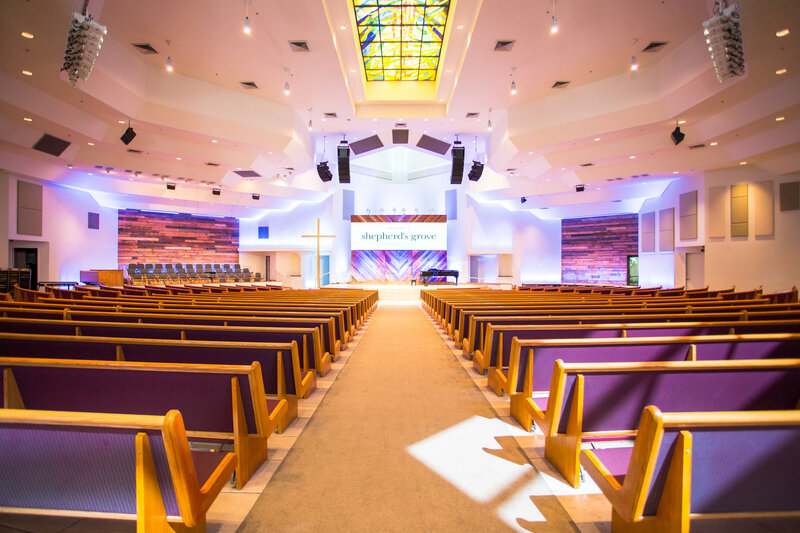 A key part of this lighting upgrade is a beautiful and engaging colorwash on the wall behind the altar, provided by a collection of 41 Colorist 12Qa linear RGBA fixtures from the Iluminarc division of CHAUVET Professional. Although the new lighting system looks impressive to worshipers at the church, as well as those watching on television, installing the new rig was not without its challenges, according to Flemming. 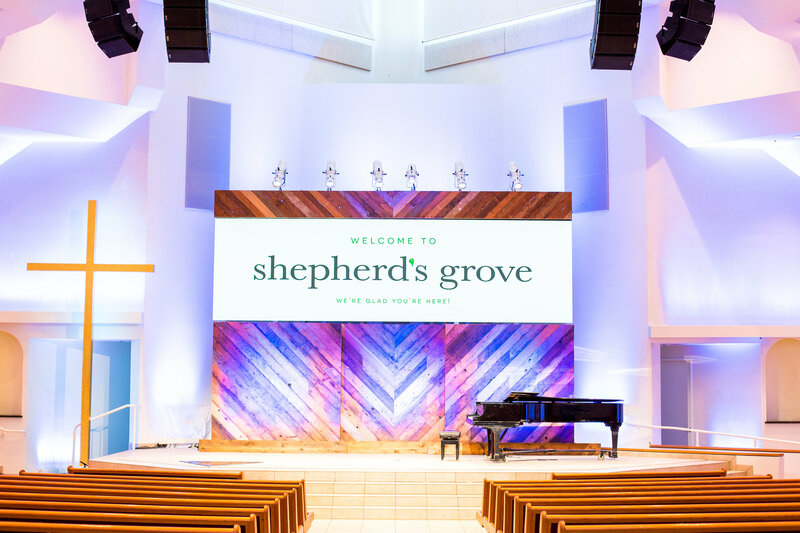 “The entire lighting rig in this project was new to the space so we had to add all of the infrastructure to make the lighting possible, from creation of the mounting positions to the addition of power and control everywhere that fixtures were added,” he said. “Chad Blake was wonderful to work with as we addressed these issues. He was the internal driving force to make this happen, a pleasure to work with and very excited to see each day’s activities. In the end we created something we could all love.” So too can millions of television viewers.